Think team sports are just for kids? Most adults work all day sitting at a desk and need an outlet to be active and reduce stress. Participating in a sport such as a recreational softball or coed soccer league can reduce stress, provide positive social relationships, and increase physical fitness levels. HUB Sports Boston leagues and events are great opportunities for your company to engage in team building activities while getting your competitive juices flowing and your heart rate up! 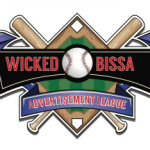 It is also a great chance to network in a fun, relaxed environment where the focus is on the game and having fun and not the exchange of business cards. You don’t need an athletic background to enjoy getting out on the field once a week to meet, greet and compete with others in your industry. 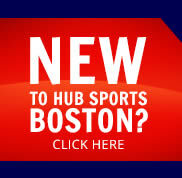 Join one of the dozens of Boston area companies that play sports with the HUB every year. Click on the links below to find a league or event that is right for your company or contact us directly at companyfun@hubsportsboston.com. Join some of Boston’s top companies who play sports with The HUB!